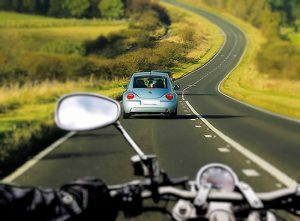 If you already have a full motorcycle licence, but have not ridden in a few years or intend on riding a larger bike than you’re used to, taking a motorcycle refresher course will prove beneficial. Why Will a Refresher Course Benefit Me? Road and traffic conditions are constantly changing. More vehicles are crammed onto narrow UK roads year-on-year and traffic systems constantly evolve to cope with the increasing flow. A refresher course will bring you up to speed with current road and traffic conditions. If you haven’t ridden in several years and intend on purchasing a new motorcycle, you may find that technology has moved on since you last rode. Refresher training takes into account changes in technology. Your riding skills though not gone, will likely have faded – more so if you haven’t ridden for quite a while. You will find that your skills will quickly return when under professional guidance. A lack of confidence is often the reason why riders take refresher training and is something that’s quickly gained after all of the above have been completed. Essentially, you’ll know yourself when you’re ready to go it alone. What Happens During a Refresher Course? Unlike most other motorcycle training courses, refresher training isn’t usually set, so before training begins, you’ll often meet up with your trainer for a chat. Here, you’ll discuss any specific areas of riding that you feel need refreshing. The duration of a refresher course depends on the training establishment and the level of training you require. It is usually conducted over a single day, though you can usually request top-up lessons if required. Trainers will usually have radio equipment and protective gear available though this may incur an additional charge. Depending on which level you wish to start from, you may be given the option to start off on a small bike and work your way up to a bigger motorcycle as your confidence grows. The course will be designed around you and will progress at a pace you’re happy with. At the end, you’ll have a chat with your trainer and decide whether you feel the course has sufficiently fulfilled your objectives, or whether you’ll return for further training. Trainers that conduct the ERS must be registered with the DVSA and once the course is completed, you may receive insurance discounts by participating providers. You can find out more here.